In this post I interview Brian C.B. Barnes, the Co-Founder and CEO of TandemEd, a start-up that facilitates the design of community-identity campaigns, in order to strengthen community-wide leadership in tandem with public and private institutions. This is the second post in a series about schools and planning. Necessarily, an underlying theme running through these topics is the effect of racism on our school systems. This interview and an upcoming post offer perspectives on how to address this. Leigh: Hi Brian. To begin, would you tell us a bit about what led you to a career in education? Brian: I came from a high school that looked integrated, but really it was segregated. Most of the black students were placed in general education courses, while the majority of the advanced academic courses were white. I took both types of courses and saw the difference in quality and expectations and also the underlying messages that challenged my racial identity. Once, after finishing a speech in my AP English class, the teacher, and older white female, pulled me aside and said, “You need to learn how to get the black out of your voice.” This comment hurt, angered, and confused me because the “blackness” of my community that came through in my voice — my family, church, sports coaches, summer programs in the local historically black college — is what molded me into a strong and talented young man. Additionally challenging, my guidance counselor gave me applications to colleges that were less in caliber than those given to my white peers, even though I had higher grades than most of them. As a high school student in the pre-engineering program – and ironically for this interview – I was told by the teacher that M.I.T. was not for students like me, but for students “like Jeremy” (a high achieving white male student). L: In the face of these negative school experiences, what made you think schools could be different? B: I attended Morehouse College, a historically black and all-male college in Atlanta, Georgia, and witnessed an alternative view. I was part of a campus full of black males who were excelling in awesome and diverse ways. After witnessing this I made a commitment to youth mentoring and to ensuring that the talents of black youth could thrive and be revealed in K-12 schools across the country. I went into education because I thought it was the best way I could have an impact on black youth. I got degrees in education, worked in the Boston Public Schools, and also did ministry and faith-based work that supported youth in schools. My goal was always to support the school; schools were always at the center. L: Although you began your work with the perspective that schools are at the center of education, your work with TandemEd focuses on supporting community leadership and institutions outside of schools. This seems counterintuitive – why are you now shaping education from outside of schools and what prompted this shift? B: It dawned on me that many schools are filled with teachers and leaders who are not a part of the community beyond their work, and often they look at parents and community members from a deficit viewpoint. They assume, knowingly or unknowingly, that the parents aren’t or can’t be the leaders and visionaries of their children’s learning and education. Teachers often ask “why aren’t the parents involved?” and “why aren’t they showing up at open house?” — questions that contribute to a narrative that says the schools are the leaders rather than the community members. I realized that we had it backwards. Schools shouldn’t be at the center, setting the tone for the community’s education and expecting parents to follow. Rather, parents and communities should decide what their standards of excellence are and the school should echo and affirm that. Schools can focus on academic instruction, but it’s the community that motivates youth and gives them purpose for learning and appropriating the school space. Schools shouldn’t be the shaper of identity and values, which is often what happens in Black communities where the school is seen as an institution that has to somehow save the community. L: What would it look like for a school to be supporting the community in the way you describe? B: I think schools need to acknowledge that they’re not at the center of youth development in the community, but are there to support parents, youth, and other residents. This means that teachers and principals are opening their motivational speeches not with their own values and purposes for education but with those outlined by the community. It means that the halls and walls are filled with these messages. It means that academic projects are linked with community initiatives. It means that schools are focused on aligning instruction and resources to support the aspirations of students, and that conversations with parents begin with the assumption that they care about and have goals for their children. And it most certainly means affirming black students and their culture explicitly, and not merely being comfortable talking about blackness in the context of achievement gaps. This is a shift in mindset for educators who have largely been molded through teacher and school leadership programs to be the leaders of education and at best to “involve” or “engage” parents in the programs that they have already envisioned. I find that even the most robust and intense parent involvement programs in schools often still operate from this old frame. L: If that’s what needs to happen within the school, what needs to happen outside, in the students’ communities? B: I think a complementary action on the community side is to assert its leadership of youth development and provide clarity to schools about how to support communal goals. This is the core work of TandemEd, to ensure that there are healthy and asset-based narratives within communities that position them for proper leadership. For example, the aim of TandemEd’s “Black in Pittsburgh” campaign, which was designed by black youth and communities in Pittsburgh with TandemEd’s facilitation and tools, was to start building this community strategy and to articulate community identities so that local institutions could become more responsive. L: As a last note, any recommendations for books that have influenced how you think about this? B: Yes, there are so many that have contributed to my thinking. Some books I would note: Building Communities from the Inside Out: A Path Toward Finding and Mobilizing a Community’s Assets by John P. Kretzman and John L. McKnight; Young, Gifted, and Black: Promoting High Achievement among African-American Students by Theresa Perry, Claude Anderson, and Asa Hilliard III; The American Dream and the Public Schools by Jennifer L. Hochschild and Nathan Scovronick, which describes the American tension between individual advantage and living up to the ideals of collective uplift; and Ivan Illich’s Deschooling Society, which provides some creative and thought-provoking critique of the role of schools in society. L: Thanks Brian. You make a very compelling case for shifting how we think about impacting the education system so that it better serves black communities, and challenge us to consider how to support community organizing and existing leadership so that local residents can drive education reform. I’m eager to see how TandemEd and your work across the country continue to move us toward this vision. B: Thank you Leigh — we at TandemEd are excited to contribute to healthy narratives in communities and to inspire them to manage their relationship with schools in new ways. If you or your readers are interested in investing in TandemEd’s work in one of your local cities or neighborhoods, please email info@tandemed.com, visit us at www.tandemed.com, or follow us @TandemEd. Brian C.B. Barnes is the Co-Founder & CEO/President of TandemEd, and has committed his life to standing beside youth and communities in the journey to secure a strong present and future in America. Brian’s professional experience includes serving as the Chief Community Officer for the Tennessee Achievement School District’s direct-run schools, District Leader at Boston Public Schools (BPS) for School and Faith-Based/Community Partnerships, and a middle school mathematics teacher and school leader also in BPS. 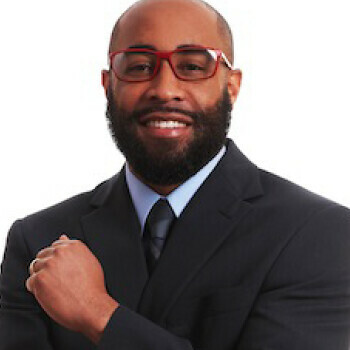 He has additionally served as a coach, consultant, and instructor at the Harvard Graduate School of Education (HGSE) for doctoral students and aspiring and current school leaders, along with consulting and presenting to various education non-profits including The New Teacher Project (TNTP) and New Leaders. Brian holds a Doctor of Education Leadership degree from HGSE, a Master of Divinity from Andover Newton Theological School, a Master of Education from HGSE, and a BS in Mathematics from Morehouse College, with a minor in secondary education from Spelman College. Brian is married and is the father of three beautiful children, one son and two daughters.